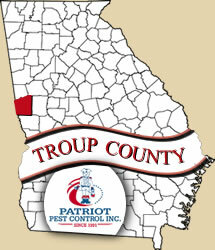 At Patriot Pest Control, we have been serving the Troup County area since 1991. Troup County has many wonderful assets such as West Point Lake, the LaGrange Art Museum, the LaGrange College, and the Historical Downtown Hogansville. Cities in Troup County include LaGrange, Hogansville, West Point, Mountville, and Harrisonville. 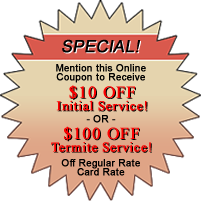 Give us a call today to start protecting your home from pests and termites.